A year old, after ending up in the hospital at my most unhealthy self, I vowed to throw out all of my food dogma. All of my tampering wasn’t working. It was time for a new paradigm: eat whatever I want, whenever I want because frankly, my body knew better than my head. I have spent a year relearning how to eat – croissants, coffee, wine, and chocolate, it was all allowed. My gut and health have never been better. Now I’m ready for phase two. It’s time to eat happy, play with great enjoyment, and savour each and every bite of life. 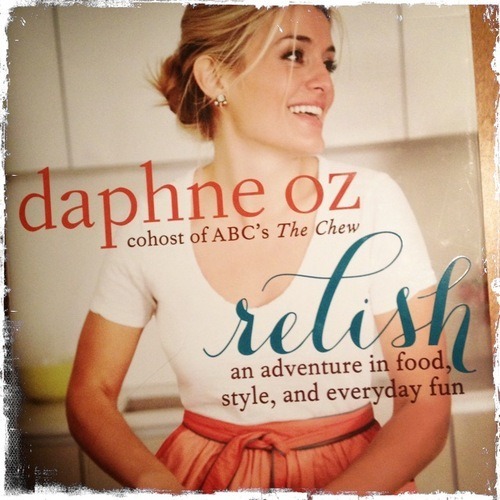 It’s time to relish – my new favourite word. Without schedules or rules, but with a dash of this and another of that, I’m going to work my way through the recipes in this book… and I’m going to share the journey with you! There’s been a development in my life that I’d like to share. It seems I have become a teeny-tiny bit obsessed with coffee. 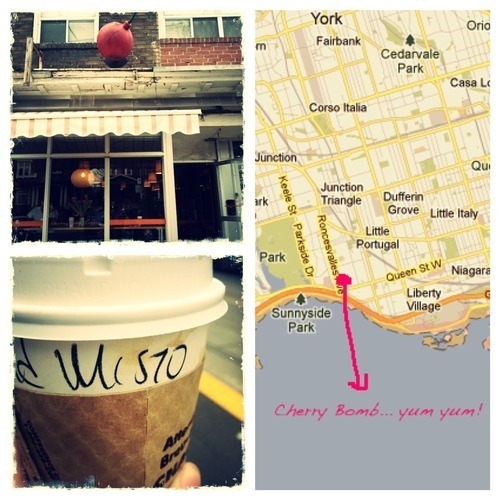 So I’ve come up with a project: exploring Toronto in coffee cups! So many cafes, so many coffees, so many steps! Here’s my first… Cherry Bomb on Roncies! Cherry Bomb. Almond misto. $5 on the dot with a raspberry almond scone. Awesome. So, folks, where should I go?